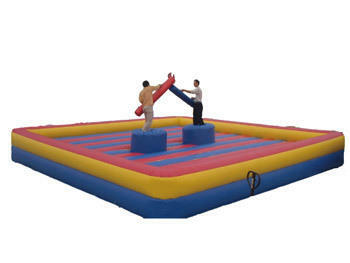 The Gladiator Joust is great fun and can be a centerpiece attraction at any event. Two Gladiators enter the inflatable arena and take their positions on the two pedestals. Once given the signal, the two try to knock one another off the pedestals with the over-sized jousting batons.